Impress your friends with a gift they will use. This is a knife that can used to open boxes or survive the toughest outdoors adventure. Be sure to check engraving details are properly spelled. Measuring in at 4.5" closed and a full 8" when open, this a man's man's knife. 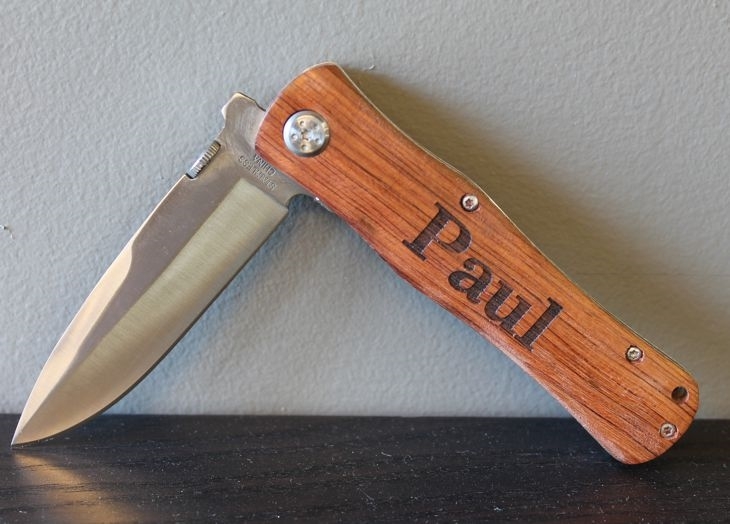 The handle is constructed of hardwood rosewood and meant to take some serious abuse. 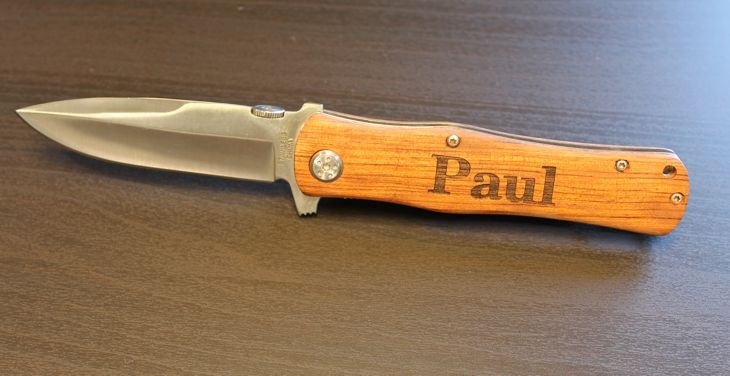 This is a knife any guy would be proud to carry. 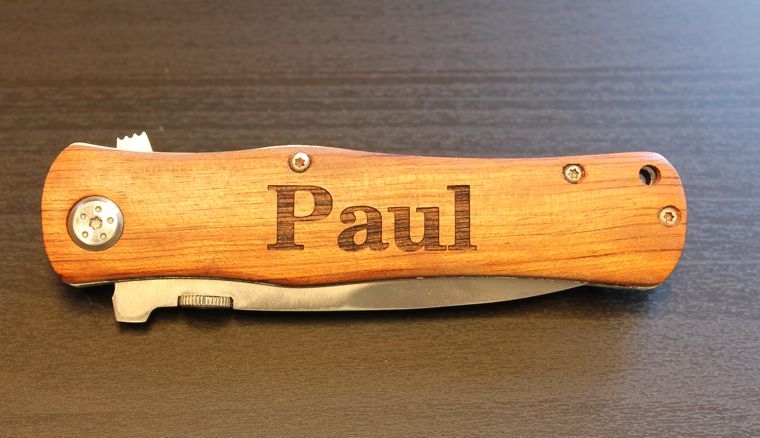 And when it's engraved with your groomsmen's names, this knife becomes more special. Typically arrive to you within 2-3 days of shipping -- now that's fast.